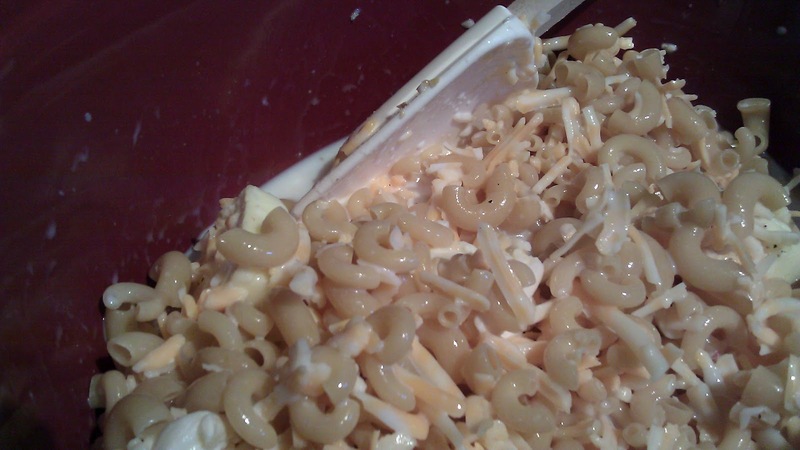 A few months ago, my best friend/sister Gigi asked me for a Mac and Cheese recipe. My "niece" Denise wanted a hot lunch for school instead of sandwiches. I know Gigi is one who enjoy simple goodness. I have been doing some reading and a few experimenting, finally, I came up with a almost perfect mac and cheese. It is not necessary to boil the noodle, no extra pots and pans. Gigi used to laughed when she saw the amount of pots and dishes I created when we used to cook together when we were in Hawai'i. 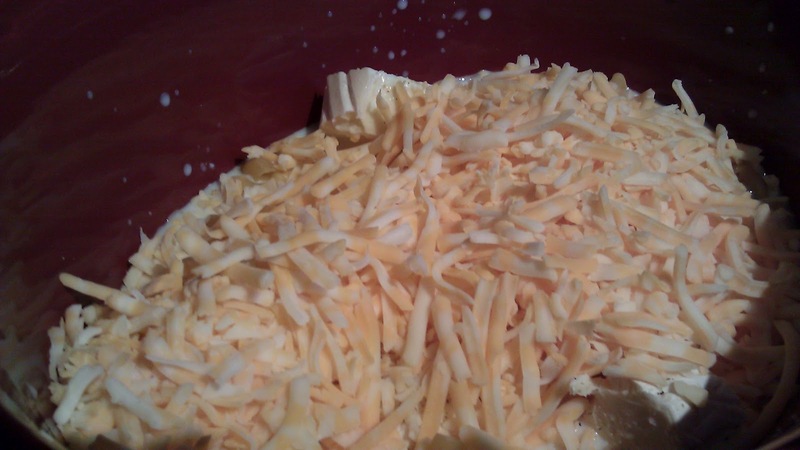 3 cups shredded cheddar, or cheddar cheese mix. 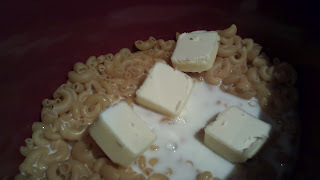 I am using a Jack and cheddar mix. 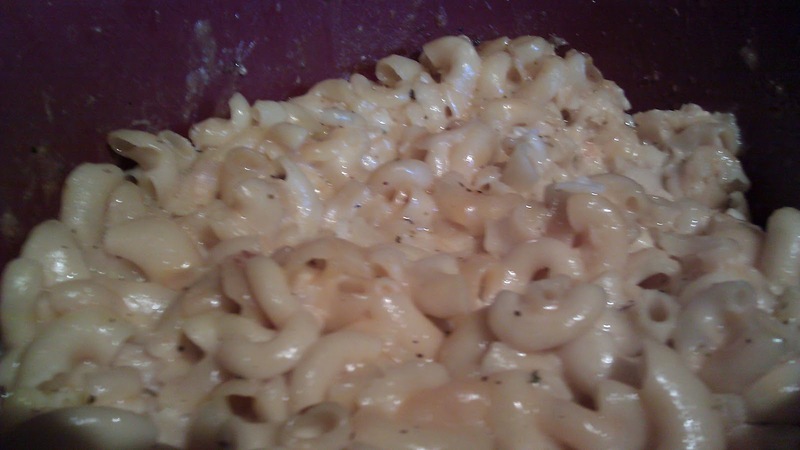 Place macaroni in pot. pour in 4 cups of milk. Turn the crock pot on low heat and let it cook for 3 hrs. 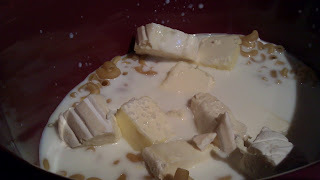 Stir and check the consistency, it seems too thick for you liking, add more milk. We like a little "sauce" with ours. Check the seasoning, the amount of salt you need will depend on the cheese you use. 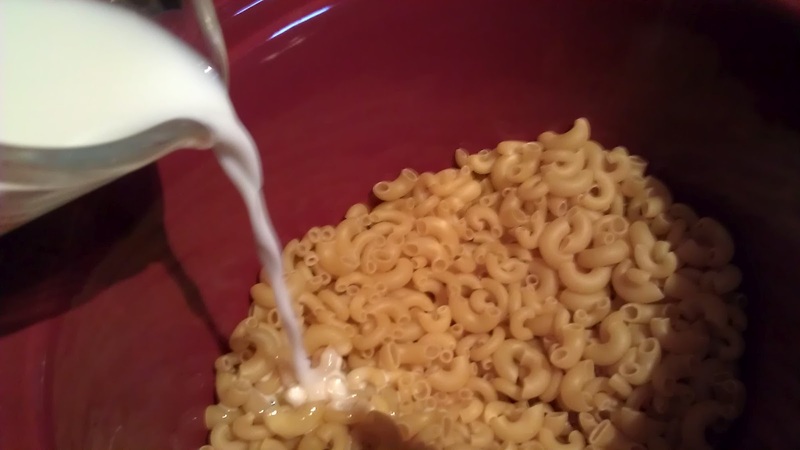 If you like, you can sprinkle addition cup of cheese on top. Cover and let it cook for an additional 1 hour. 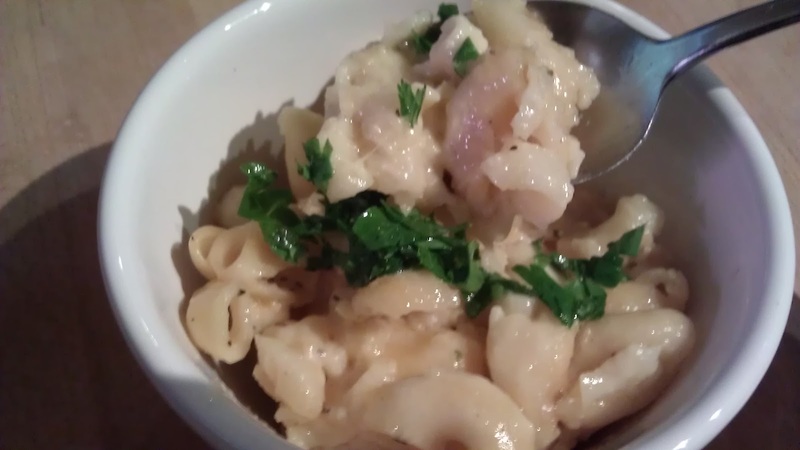 Plate the pasta and top with chopped parsley and freshly grounded pepper! Gigi and Denise - this is for you! Make 12 serving. You can freeze some of it. If you have a smaller crock pot, you can make 1/2 portion. I would not recommend making a 1/2 recipe in a 6 Qt pot. If you want to make this very gourmet, replace the brie with a Taleggio. 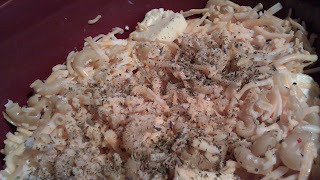 You can also mix in grated mozzarella with the cheddar and a couple tbsp grated Parmesan cheese. If you would rather keep this simple, replace the brie with cream cheese to make it all American. This is a very simple dish that you can have fun with, try it with different combination of cheese! This is also a great pot-luck dish. You can keep the casserole on warm in the crock pot. Simple!